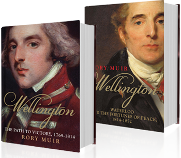 Lifeofwellington.co.uk is home to the accompanying Commentary of Rory Muir's two volume biography of Arthur Wellesley, the Duke of Wellington. 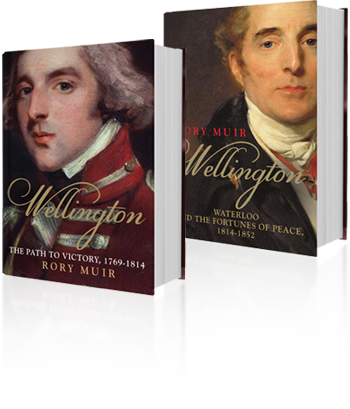 The Commentary is the extended text from the first volume of Rory Muir's definitive biography, Wellington: The Path to Victory, 1769-1814 and Wellington: Waterloo and the Fortunes of Peace 1814--1852. Originally written by Rory Muir for his own use, Yale University Press is delighted to make it available to read online and as a free download. The Duke of Wellington was Britain's greatest soldier, whose victories turned the tide of Napoleon's conquests and played a crucial role in his downfall. Wellington went on to be a major figure in British politics, twice serving as Prime Minister. Often the centre of controversy, he was at times fêted and celebrated as a national hero, at others reviled in the press and abused in the streets. Rory Muir's masterly new biography, the first of two volumes, is the result of thirty years' research into the Duke of Wellington and his times. The author brings Wellington into much sharper focus than ever before, critically examining every aspect of his life from his unhappy childhood, his baptism into British and Irish politics and his remarkable successes in India, to the setbacks and triumphs of the Peninsular War. Over the three decades I have been working on Wellington and subjects closely related to his life I have made many interesting discoveries which, for reasons of space, can only be touched on briefly in the biography. In the past, such material would have remained stashed away in my personal files, or at best trickled into the public realm via obscure scholarly articles and conference papers largely inaccessible to general readers, while future biographers and historians would have wasted many hours pointlessly following the same lines of inquiry. I am pleased, therefore, that this material is now freely available on this website.